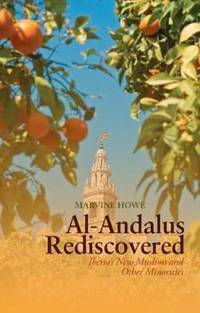 Spain and Portugal’s immigrant and Islamic histories has been an important factor in these nations’ unique record of toleration toward their Muslim immigrant populations, according to journalist Marvine Howe in her new book “Al-Andalus Rediscovered: Iberia’s New Muslims” (Columbia University Press / Hurst). North African Muslim have risked their lives in crossing the treacherous Gibraltar Strait, with thousands drowning every year, to migrate to Spain, while Portugal, on a smaller scale, has attracted Muslims from the Middle East and Asia. Prompted by these newcomers, both countries have acknowledged their unique Islamic histories and have moved away from interpreting their pasts as one of Catholic supremacy over Islamic aggression, most clearly illustrated by the Inquisition and expulsion of Muslims. The reference to “Al-Andalus” in the book’s title refers to the period of fusion of Muslim, Christian and Jewish cultures that was established lasting several centuries prior to the Inquisition. In recent years, scholars have actively sought to reconstruct the historical record to show the contributions Muslims made to Iberian culture, especially in the arts and language. Since 9/11 and the bombings of a commuter train in Madrid in 2004, the newly recovered tolerance toward Islam has become more complicated. Howe notes that extremist Islamic groups such as Al Queda have viewed Spain as a launching pad for terrorism in the rest of Europe. Yet unlike many European countries, even these incidents did not generate large-scale anti-Muslim sentiments, even if there was a backlash against the rising tide of African Muslim immigrants. The tolerant climate has been acknowledged by Muslim immigrants. In 2009, a report found that 89 percent of Muslim immigrants in Spain believe “it is possible to be a good Muslim and a good Spaniard.” Since the Muslim community in Portugal is smaller and more integrated than in Spain, the former country has had less conflict over Islam. Howe argues that the Iberian model of integrating Muslims into society is largely a success story compared to other European countries. One reason for this difference is that both Spain and especially Portugal see themselves as countries of immigrants with an obligation to assist other newcomers to society. This conciliatory approach is based in governmental and non-governmental organizations (which are often connected to the Catholic Church) that advocate for and deliver services to immigrants and work with Muslim groups. Both countries have made deliberate attempts not to create parallel societies or ghettos that isolate Muslims from society as has been the case in other countries. Along with more tolerant domestic policies, Spain and Portugal have embarked on ambitious partnership arrangements with African countries, such as engaging in joint efforts to fight AIDS and stem the tide of illegal trafficking of migrants. While the book is mainly upbeat about the Iberian difference in dealing with Islam, she concludes that both countries face new challenges in integrating Muslims into society. For one thing, there is little agreement among Muslims about which group should represent them to their government. Today Muslims are split between various federations, the most prominent being the Spanish Federation of Islamic Religious Entities and the Union of Islamic Communities of Spain.